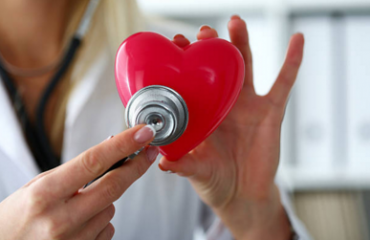 Sudden cardiac arrest (SCA) is a state in which the heart suddenly and unexpectedly stops beating. If this happens, blood stops flowing to the brain and other vital organs. In addition, if the heartbeat is not restored with an electrical shock immediately, death follows within minutes. SCA accounts for more than 350,000 deaths in the U.S. each year. The Bystander CPR and AED use are crucial to survival. Thus, learning CPR is important, not only for medical professionals, but for anyone. The Chain of Survival is a treatment method designed by the American Heart Association to treat victims with sudden cardiac arrest (SCA). In this condition, the victim’s heart twitches irregularly, stopping the flow of blood and oxygen throughout the body. SCA is fatal unless medical intervention is provided in a timely manner. The chain of Survival’s structure gives rescuers a protocol to follow, increasing the victim’s chance for survival. Each minute that passes between the onset of symptoms and intervention increases the victim’s chance of death by up to 10%. Cardiac arrests are more common, and they can happen to anyone at any time. 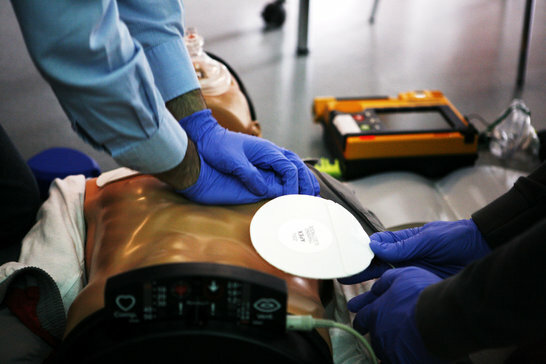 Cardiopulmonary resuscitation (CPR) uses chest compressions, which move blood from the heart to the brain and internal organs, as well as mouth-to-mouth ventilation, to provide the victim with oxygen. An automated external defibrillator (AED) device designed to walk bystanders through administering CPR and defibrillating the victim if needed. Effective bystander CPR provided immediately during the sudden cardiac arrest can double or triple a victim’s chance of survival. For this reason, doing CPR/AED certification course is extremely essential that can save the life of loved ones.